Bow hunting is an activity that can be fun and difficult at the same time, especially if you don’t have the proper equipment. Arrows are an essential part of bow hunting, and it is important to know what type of arrow to use when hunting. There are certain elements that you have to consider when choosing the right arrow for your bow, like the arrow’s length, weight, spine, straightness and the material. All these features can guide you through the selection of the proper arrow used for bow hunting. It is a personal preference on which arrow you will use with your bow, but usually the carbon ones, which are much lighter and more accurate, are one of the best and most popular choices in this activity. Aluminum arrows are much heavier; nevertheless, they are mostly used by professional bow hunters, because they penetrate deeper into the desired target. The advancement in technology has always been a positive point in manufacturing arrows. Arrows as products are therefore, like technology, constantly changing in design and in their purpose. 2015 has seen some of the best designs in arrows for bow hunting, and the innovativeness in components that are used with them. Whether you are a beginner or a professional waiting to start the hunting season, you should prepare for it in advance and choose the best arrows for hunting. 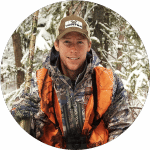 Hunting equipment and accessories play an important role in bow hunting, because they have to be precise, strong, accurate, and they have to work properly in order to avoid any possible accidents that may happen. As a bow hunter, you have to be aware of the fact that having the right model of arrows is very important for your hunting experience, as well as your safety. Check out our article on basic bow hunting tips to keep you safe from harm. There are several different models of arrows that are considered to be the best today, a conclusion that is based on accuracy, material and speed tests performed by bow hunters. Of course, the accuracy and speed depend on the material of the arrow and its design, so let us have a look at the most common materials for arrows before we show you the best arrows for hunting. It is essential that you, as a bow hunter, choose the appropriate arrow made from the right material for the purposes of bow hunting. There are three basic types of arrow material that can be found in almost every shop, and online. Arrow material is important. Choosing the right material of an arrow can make your hunting experience better than ever, safe, and it can save you from the problems that might occur in the process of hunting. Aluminum. Aluminum is very popular, when we are talking about arrows and their purchase. This material is light, strong and not that expensive as other materials. Some bow hunters who own high speed bows prefer to use these aluminum arrows, simply because they are a bit heavier and they can transfer the energy of the bow more efficiently than arrows made from other materials. Wood. Arrows made of wood are not that popular with bow hunters today. They are heavy, slow and it is difficult to make an arrow from this material to match the tolerances of compact bows. 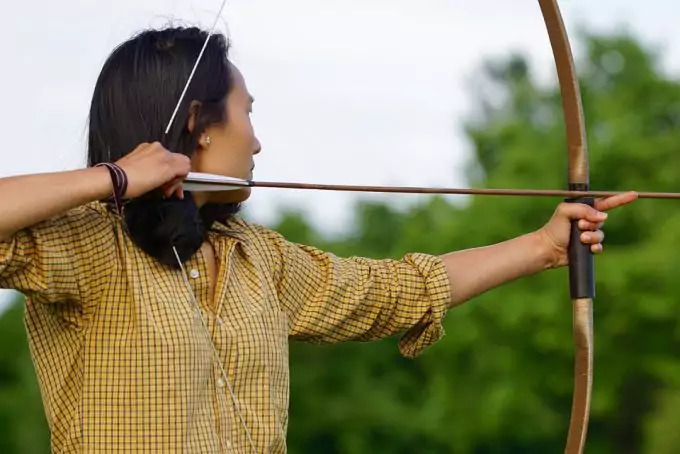 They did work for cavemen, as bow hunting is a very old activity that dates back to prehistoric times, but today, the needs of hunters are quite different than then. The advances in technology and in manufacturing arrows meet those needs of individuals today, but with the use of other, more durable materials, like carbon, for example. Carbon.Since they appeared in the shops for bow hunters all over the world, carbon arrows gained the popularity of their audiences pretty fast. The reason for it is that these carbon arrows are lighter, much faster than arrows made from other materials, and they are better in measuring bow tolerances than the aluminum ones, which in turn increases the accuracy and the speed of the arrow. This is definitely the high quality material for making the best arrows for hunting. Material for arrows has to be durable. It has to make the arrow go faster and the arrow has to be much lighter in order to achieve the best results when hunting. Carbon based arrows are the perfect choice for your bow hunting, because they are faster and much lighter than the aluminum ones, but if you prefer the heavier aspect of the arrow flight when you shoot it into a target in order to achieve deeper penetration, then the aluminum based arrows are perfect for you. 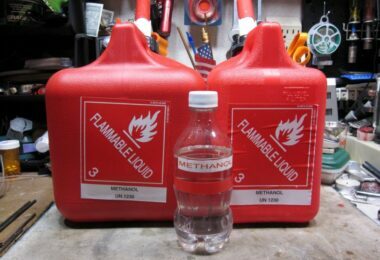 Those two materials stand side by side, and are equally durable. Over the years, numerous models of arrows that are firmly holding their ground in this competitive world appeared on the market, which can be greatly contributed to their popularity and personal preference of bow hunters. This preference of bow hunters to choose the best arrows on the market for their hunting experience has changed with the emergence of new materials that arrows were made of. 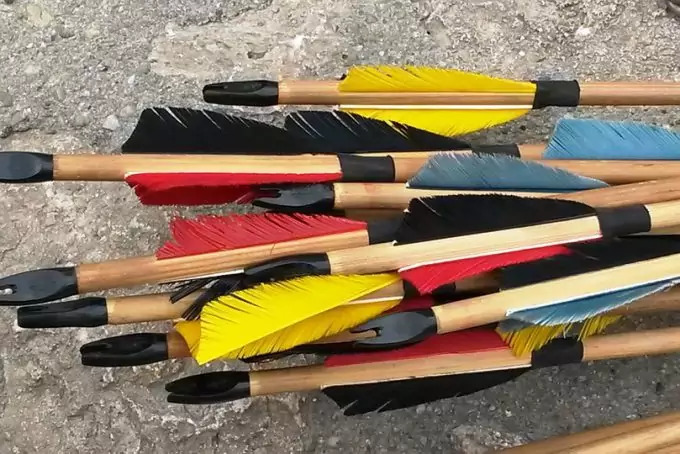 These materials were lighter and they made the arrows more accurate and more tolerant in terms of the resistance of high-speed bows that are used today. As we already mentioned, carbon is one of those materials that is very popular because of its lightness, speed and accuracy that it offers to its users. There are a few leading manufacturers of quality arrows, like Beman, Easton, Carbon Express and Gold Tip, who are upgrading their products all the time in order to deliver the highest quality to their customers. Beman ICS Hunter Pro. The manufacturer of this arrow prides itself in the accuracy and lightweight of its products. ICS Hunter Pro is made of advanced carbon, which makes it agile and very accurate. Its straightness is simply amazing. It comes with Microlite S Nocks and Vibrake Hot Tail inserts which are toning down the vibration when the arrow is shot from the bow. The straightness tolerance is around .002 inch, which is pretty straight and it serves its main purpose. Carbon Express Maxima Red. The manufacturer Carbon Express always delivers the best of its products. This arrow model, the Carbon Express Maxima Red, is one of the best hunting arrows out there. Its design is very modern and up to date, which helps this product to deliver the best accuracy and performance in general. It has stiff ends that cause the dynamic spine of the arrow to be flexible while still in flight. The straightness tolerance is no more than .0025 inch. It also consists of BullDog collars, which protect the nocks, and Blazer vanes, that make a nice addition to this already great product. Carbon Express Maxima Blue Streak. 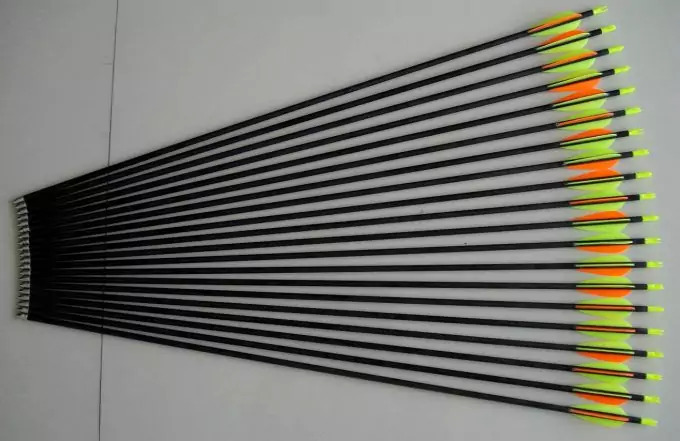 These are some of the lightest arrows made by this manufacturer. Maxima Blue Streak is a nice choice if you prefer a high level of accuracy and speed when bow hunting. Arrow shafts are made from the material called Diamond Weave, a carbon based material that makes your arrow extremely stiff and the consistency of its spine is simply amazing. The tolerance of the straightness is the same as in Maxima Red arrow, which we mentioned earlier in the article. This arrow is also pre-fletched with Blazer vanes, which makes it even more attractive for professional and amateur hunters alike. Carbon Express Pile Driver. Carbon Express Pile Driver arrow is designed to have more kinetic energy in order to achieve deeper penetration, and it is therefore more efficient when hunting. It is mainly used for big game animals, so if you are a big game hunter, this arrow will blow your mind, so to speak. It is a bit heavier for obvious reasons, and it uses Weight Forward technology to achieve better penetration and better flight as well as perfect accuracy. 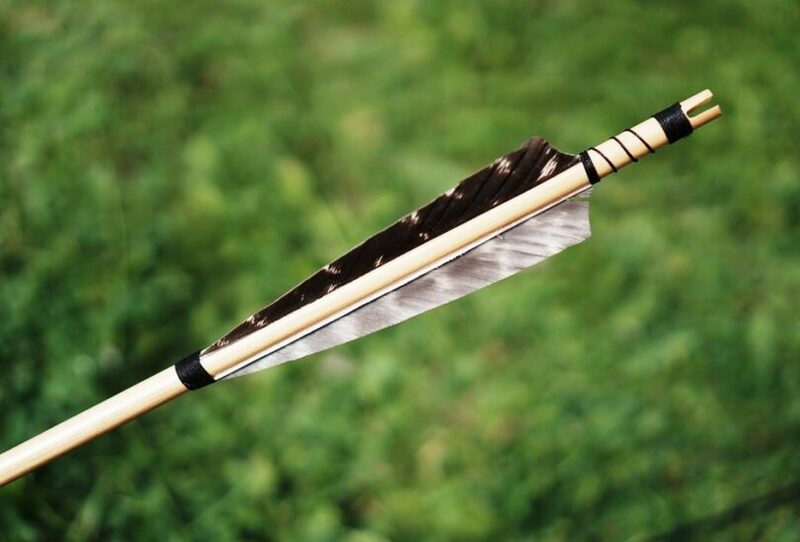 This arrow also uses BullDog nocks for a stronger performance and additional durability. The straightness is around .005 inch. Carbon Express Hot Pursuit. These Hot Pursuit arrows are specifically designed for women and young bow hunters. They have an ultra-light design for flatter trajectory. Launchpad Precision Nocks are already installed for a better release of the bow string. Their low profile vanes offer great speed and amazing accuracy. This is one of the newest designs of arrows that came out from Carbon Express factory. Gold Tip XT Hunter. This arrow is one of the most popular arrows offered by the manufacturer of the same name. It uses Smart Carbon Technology, with high carbon performance that guarantees straightness and clear performance, even when using the arrows repeatedly. It is available in different designs and colors, like black, crested and Mathew’s Lost Como finish, which is very appealing to the professional bow hunters who seek quality and accuracy wrapped up in an exciting new design. It also guarantees straightness of approximately .003 inch. Gold Tip Kinetic Kaos. Kinetic Kaos arrow is a high quality arrow with a small diameter that reduces wind drift. 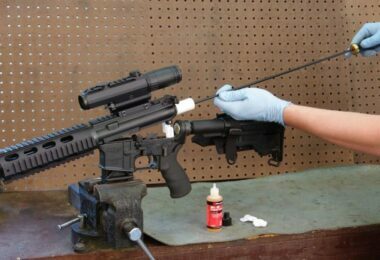 It offers durability as well as accuracy and deep penetration into the target. Some of the other features of Kinetic Kaos are its durable and strong components, like the Ballistic Collar that increases strength in places where other small diameter arrows fail to do so. Easton Bloodline. These arrows have been one of the most technologically advanced products for bow hunters on the market. Their shaft is smaller in diameter; they are made from light carbon material, which enables them to penetrate the target better at a higher speed. Their straightness is guaranteed at approximately .003 inch, and they have H Nocks and HP Inserts, which are already installed, in factory. They are also available in different variations, which makes the experience of using these arrows more fun and exciting at the same time. Easton Deep Six XD. This is an innovative arrow from Euston manufacturer. It has stainless steel RPS inserts that are very easy to install, and they are much stronger than the aluminum ones. This arrow has a micro diameter, and it is very strong and powerful. You can also find it in various exciting versions. Cabela’s Outfitter arrow. Outfitter Arrows have the core, which is made of carbon fiber that is surrounded with composite fibers of high strength. All these layers, if we may call them that, offer smooth micro finish and great durability of the arrow. The diameter of these arrows is reduced, which enhances kinetic energy while the arrow is in flight. These arrows already have H Nocks installed, while HP inserts come with them but you have to install them on your own. Outfitter Arrows offer top-end performance that can easily be compared with other high quality arrows from other big manufacturers. 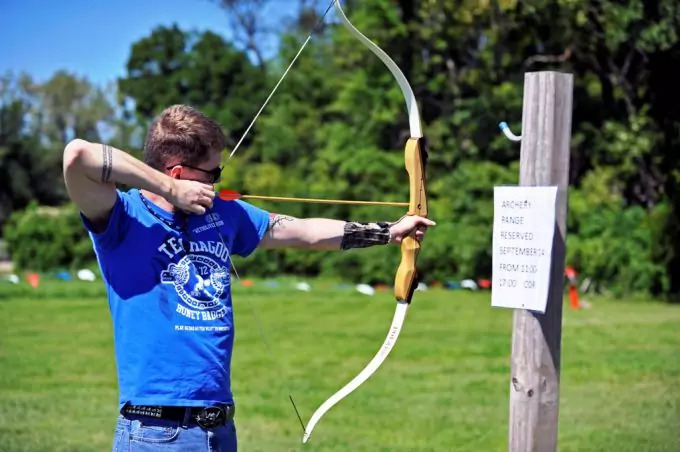 If you are a beginner in bow hunting, have no fear. 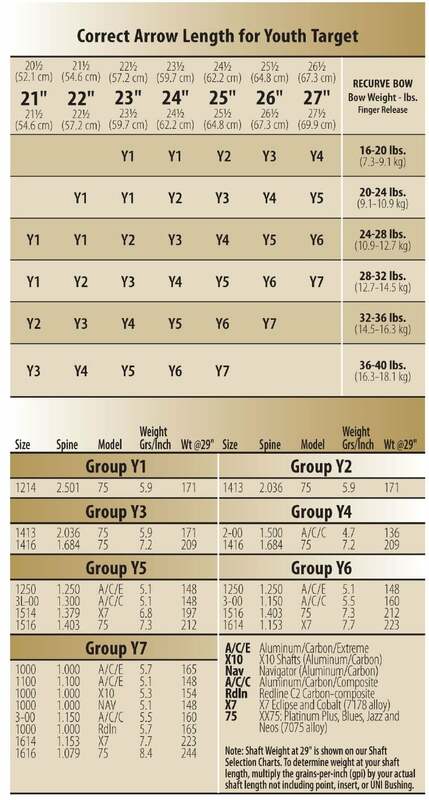 There are some brands of manufacturers that could help you make the right decision in choosing the right arrow for your bow. When choosing an arrow, you have to keep in mind that the arrow has to be long enough, and that it is suitable for your bow and its draw length. You also have to be aware of the appropriate weight, because the weight of arrows used for hunting and for target practice, for example, are very different, and it can affect your performance in hunting. 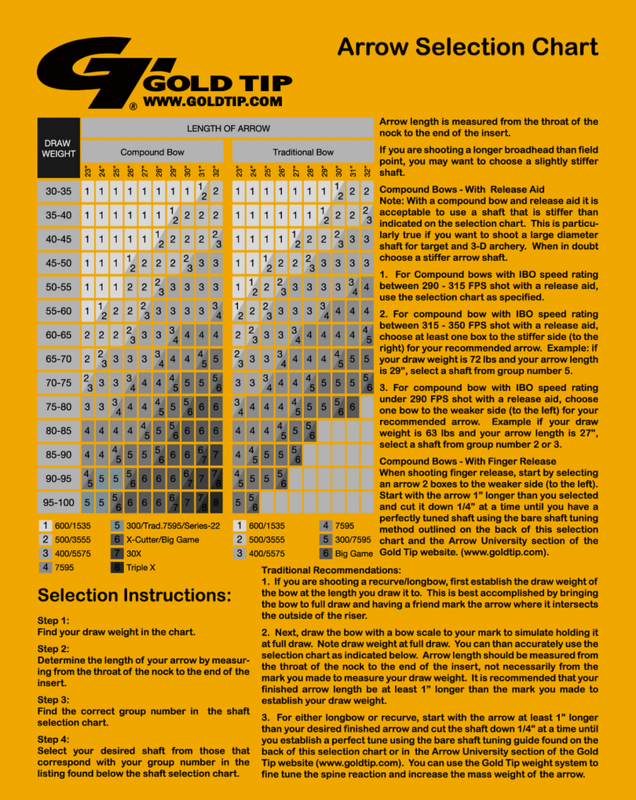 All the manufacturers that we have mentioned earlier have a range of arrow products for beginners in bow hunting. Nevertheless, one of the manufacturers who is pretty popular among beginners in bow hunting is Easton. For example, Easton has a range of bow hunting arrows made specifically for amateurs called Inspiré, which offers a wide range of arrow spines suitable for every beginner. There is also a brand called Shiny Black, which offers similar products as Easton, but the brand preference is entirely up to you as a customer, and a future bow hunter. If you are a bow hunter who wants to be prepared for the next season of hunting, whether you are hunting big-game animals, or smaller scale ones, or if you are only active in competitions, these high quality arrows from premium manufacturers are the best choice for upgrading your already existing equipment. Bow hunting requires high quality equipment, and constant practice to upgrade your skills as a bow hunter as well. Fair enough, the advances that have been made in the field of bow hunting equipment, especially the new materials of arrows on the market, like carbon, which is very light and durable, make the hunting game easier. That is why practice and equipment upgrade are still very important. Easton, Gold Tip, Carbon Express and Beman are some of the leading premium manufacturers of arrows in the world, and each year they offer a different and exciting range of arrow products to their customers. ICs Hunter Pro, Maxima Red, Maxima Blue Streak, Pile Driver, XT Hunter, Bloodline and Outfitter Arrows, just to name a few, are premium products that are accessible at a fair price, and they offer so much more in return. They are all made of carbon, either in whole or in parts, which is a very light and very durable material that guarantees straightness, accuracy and speed of arrows to their customers. 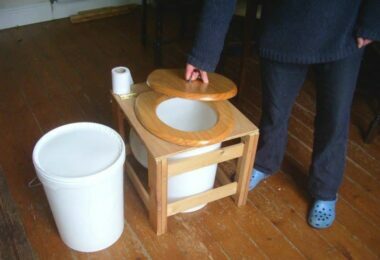 All these manufacturers, that we have mentioned earlier, offer a range of high quality products for amateurs as well. Today, arrows have more power, more speed, deeper penetration, a better and more accurate flight paths and tighter tolerances. They are light, and they come with various components that make these arrows more superior in many ways, depending on the innovativeness of those components. Each year the manufacturers either fine tune their existing products or make new and improved ones, and arrows are the best example of this new way to conquer the competitive market. 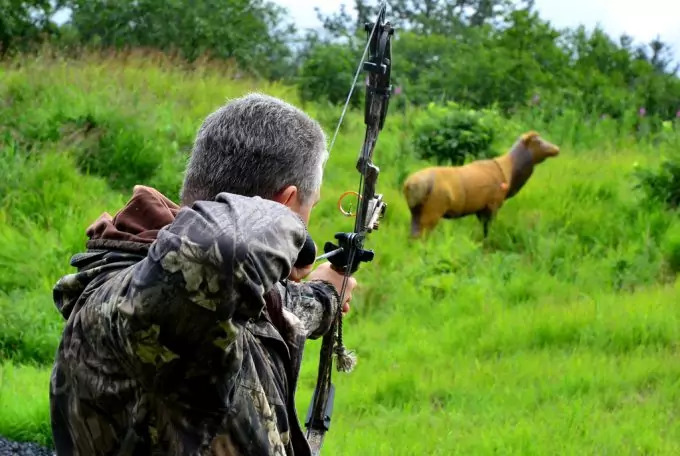 In the end, if you are being serious about bow hunting, make sure that you are using proper arrows, because they are very important for your accuracy and the overall success in this field. There is no arrow that fits all bows. Each and every arrow is different from the next in size, weight, length and technical components. Bow hunting is a technical activity, simply because you have to pay attention to all the technical aspects of bow hunting equipment, especially when it comes to arrows. Choosing the right arrow is based on a personal preference of each bow hunter, but we all want quality in everything we do, so we choose a quality product, an innovative, light and accurate arrow that will make our experience of bow hunting unforgettable and long lasting. 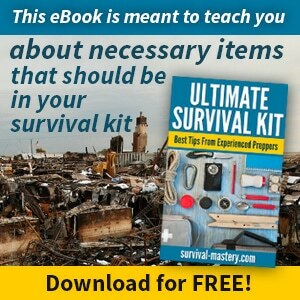 Learn how to choose the best survival bows by reading our article overview on these amazing gear.